We have already featured several web tools students and teachers can use to enhance their typing skills. Today we are adding another excellent web based Chrome app to help you learn fast typing. The app is ideal for all age groups and skill levels. 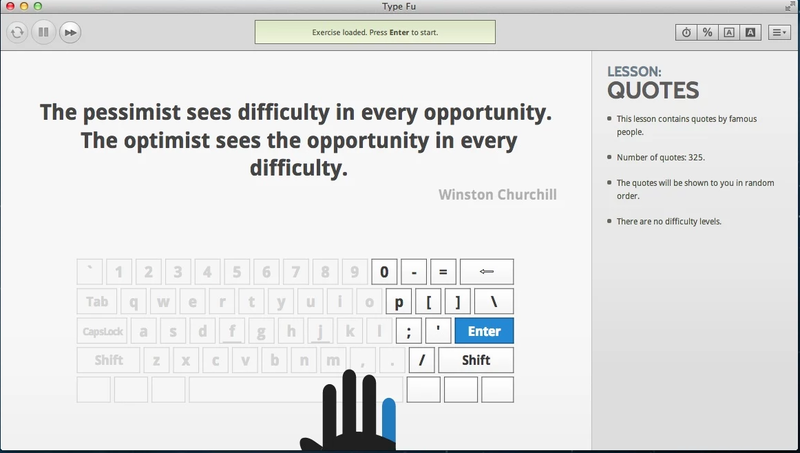 Whether you are a beginner or advanced typist, Type Fu will definitely intrigue you. 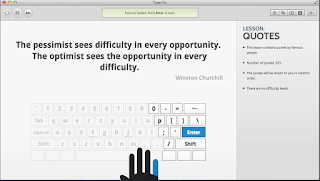 Type Fu provides a wide range of fun and engaging lessons to get you typing quick. Lessons include simple letters, numbers, words, proverbs and even quotes of renowned historical thinkers. The app also features multiple levels of difficulty and once you figure out your skill level, you can immediately delve in your typing tasks. Type Fu automatically detects when you mastered a skill level and starts providing you with more challenging typing exercise to prepare you for the next level. Type Fu also lets you visualize your typing progress. You will be able to check the generated charts describing your typing progress and learn how much better you typing speed and accuracy become. Type Fu is not free. It costs $9.99 and educational institutions and companies can buy multiple licenses with 50% discount via the Apple Volume Purchase Program and Google Play for Education Program.